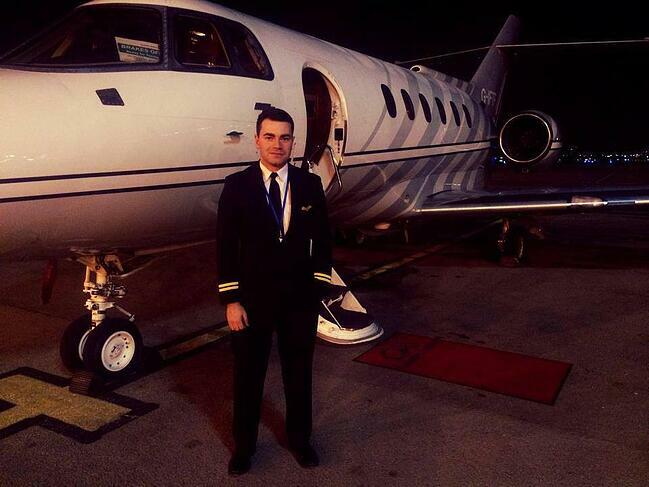 FTA cadet Liam Cunningham worked within operations at FTA, before joining Interflight (Air Charter) as a First Officer. Why did you train to be a pilot? I had always been fascinated by all things aviation from a very young age. I took my first flying lesson at 12 years old and I was hooked, gaining my full Private Pilot License at 17. I joined the Air Training Corps while at school gaining valuable experience in other light aircraft and gliders; for me it was always my dream to fly for a living. How did you go about choosing a flying school and what aspects were important to you? To begin with I researched online, shortlisting a few schools that met my criteria and budget. I then arranged visits to discuss my training options further and see the facilities. As with many prospective students, initially the two most important factors that I looked for in a school were the standard of the training given and of course the cost. In addition to this I also looked at the number of aircraft to students, number of students to instructors, course structure and type of aircraft operated to name a few. I highly recommend visiting any prospective school, ideally a personal visit on a normal operational day, to get a sense of what to expect beyond the websites and brochures. FTA appealed to me because the staff I met were approachable and transparent with all aspects of the training and costs. 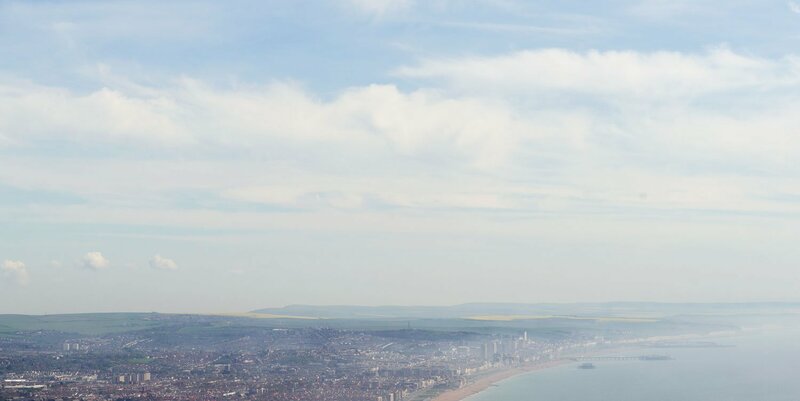 "...the location of the school at Brighton city airport made it great for training, close to busy London airspace but with large uncontrolled training areas to the East and West." The modern Diamond glass cockpit fleet was an impressive change to the more traditional training aircraft I had previously flown at PPL. Furthermore, the location of the school at Brighton city airport made it great for training, close to busy London airspace but with large uncontrolled training areas to the East and West. I found FTA while researching schools online – I had seen them mentioned several time on aviation forums with lots of positive feedback. How important was to choose a school that delivered all flight training in the UK? I had completed my PPL training and some hour building in Spain, however I felt it was important to complete my professional flight training in the UK. The standard of examiners, challenging weather and density of airspace, particularly in South East England, all make a great training environment and foundation for a career in aviation. What qualifications did you take and how did you find the course? I joined FTA on a modular basis as I had already completed a Private Pilot License and the majority of my hour building. I enrolled to complete the practical professional flight training element consisting of the Commercial Pilots License, Instrument Rating and Multi Crew Cooperation courses. I started my training in November and, despite training over the winter, had completed all of the courses with first time passes by February. How long did it take from finishing the course to securing your first interview and your first job offer? On completion of my training I was lucky enough to be offered a position within operations at FTA with the intention of progressing to a flight instructor position. Working at FTA was a hugely beneficial and enjoyable experience with a great team. It ultimately led to me being offered my current flying position about 12 months later just prior to starting the flight instructor rating. It was a difficult decision to leave however the pull to fly a jet was too great to miss. How did you hear about the job opportunity? Can you tell us a bit more about your role? I heard about the pilot apprentice opportunity through a friend, submitted my CV and was invited to interview a few weeks later. I am bonded for two years by means of a type rating. I fly as both a First Officer on the HS125, and also work within operations when no flights are scheduled. We operate several different series of the HS125. Despite being the same type rating each vary in avionics and performance, which presents its own challenges. Can you briefly outline the application/interview process for the role? The interview was held at the company offices and was conducted by one of the company captains and also the line check captain. Initially it was a discussion about the company and my previous flight experience, we then went into the aircraft where I was asked some general technical questions. Later that day I received an email confirming I had secured the job. How long have you been in this job and how are you enjoying the role? I started the job in August 2015; I had two months of working within operations while waiting for a type rating course start date in Dubai. The type rating took one month and when I returned it was straight into the line training. Due to the irregular nature of the flying this was completed in around 3 months, taking me all over the world. Can you describe a ‘typical’ day in your job? With this type of flying there really isn’t a typical day, Other than London airports I haven’t flown to the same destination twice yet. In addition to -passengers we have flown aircraft parts, organs, pampered pets and of course a few famous faces too. When on standby we have to be within an hour and 45 minutes from base to operate anywhere in the world. Go Now flights are a big part of the work we do, as such we are occasionally on base standby. One of the most difficult things with last minute flights has been knowing what to keep in your pre-packed case. Last time I was packed for a Russia trip and we ended up in Cyprus. What are the most enjoyable and rewarding aspects of your job? For me one of the most enjoyable aspects of the job has to be the variety of flying and destinations. So far I have done everything from short 5-minute positioning flights at 2000ft over central London to over 6 hours at 43,000ft around Europe, Russia and the Middle East. Another great perk of corporate aviation is that we tend to stay down route for a few days giving some time to take in the sights and culture. What are your aviation career goals – what would you like to do in the future? At the moment I am really enjoying building hours and experience in corporate aviation, in a few years I hope to upgrade to a command.